Ovulation induction is a way to induce ovulation in a women who does not ovulate on a regular basis. If the women does ovulate, superovulation is a way to release multiple eggs at one time. Medications are used to stimulate ovulation and superovulation. Consider some of the basics about ovulation and why ovulation induction is performed to help people who have been unable to conceive a child. An average menstrual cycle is 28 days. Ovulation typically happen on the 14th day. If a woman experiences a longer or short cycle then ovulation is 14 days before the next menstrual period. The time it takes a follicle to mature and start ovulation is slightly different in each woman. There are some females who do not ovulate regularly. A lack of ovulation is formally referred to as anovulation. Infrequent ovulation is called oligovulation. In most instances, an anovulatory woman must take medication to develop and release an egg. These females do not have a menstrual period for months or years. A lack of periods is called amenorrhea. When these women do get a period, it is often very heavy with excessive blood loss. Women who ovulate occasionally will also be given medication to help increase the possibility of getting pregnant. Various tests are done to determine ovulation issues in women including blood tests and ultrasound images of her ovaries. A common cause of these ovulation conditions is polycystic ovarian syndrome (PCOS). Ovulation induction is way to induce ovulation in women with the conditions described above. Oral or injectable medications are administered to induce ovulation. Women who do ovulate regularly might also take medication for the process of superovulation. Releasing more than one egg at a time maximizes a woman’s chances of conceiving a child. Commonly used oral medications including Clomid (clomiphene citrate) and Serophene. These medications make the brain increase the level of follicle stimulating hormone (FSH) it releases. This hormone stimulates the development of egg sacs and the cells that make estrogen. Injectable fertility medications are mostly made of FSH to boost the per cycle pregnancy rate by up to three times higher than taking oral drugs. They also increase the chance of multiple births so women must be closely monitored. 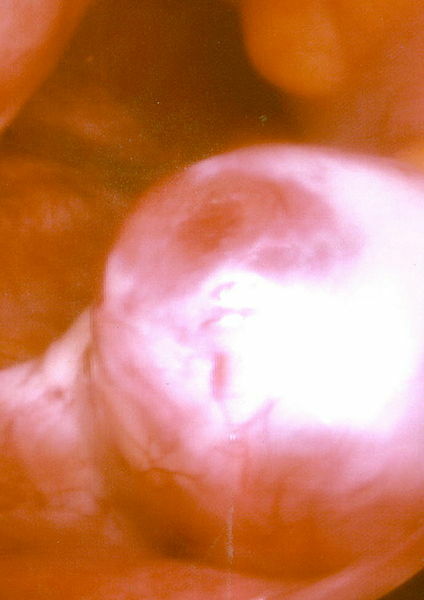 Ovulation induction is usually combined with artificial insemination. Women are often concerned about the side effects associated with taking fertility medications. The side effects of clomiphene may include hot flashes, abdominal bloating and headaches as well as irritability. The symptoms are usually mild or non-existent. Most women feel these minor risk are worth it because the medications increase their chances of being able to get pregnant. Medications are administered under the care of a fertility doctor. Time is of the essence when it comes to artificial insemination or schedule intimacy in accordance with ovulation cycles. In some instances, couples must plan to be intimate during a certain time of the month to boost their chances of having a child.